I saw Vaxxed: the Movie last night with Dell Bigtree and Polly Tommey, right here in Bozeman. I’ll do a quick review below, but in the meantime you can see when they’re coming to your city. The Vaxxed Tour is full of absolutely amazing loving beautiful people looking to spread the truth. 1. First point- this isn’t an ‘anti vax’ documentary. It is more about the coverups, lies, and altered studies, and blatant lies spread to promote the vaccine agenda. We all KNOW that wherever there is money involved, there is a tendency omit information, or exaggerate information to increase sales. Think: Car salespeople, timeshare sales, brightly-colored nutrient-void food that claims to be heart healthy. The difference between the sales listed above is that there isn’t government mandates or denial of needed medical care in the case of people who choose not to buy a Honda Civic, timeshare in Florida, or Fruit Loops. The call to action is at the end- this is the *point* of the movie, and what is being asked by everyone who supports Vaxxed. That call to action is to provide long-term studies on vaccines, particularly following children who are vaccinated vs completely unvaccinated. They want vaccines held to the same standard as other drugs (which also has issues, but at least this is better). The second is to implore you, the parent, to realize that nobody is looking out for you or your child and you HAVE TO DO THE RESEARCH YOURSELF. Afraid of a certain disease? The CDC is actually a wealth of information on diseases, if you omit their opinions-spouted-as-facts propaganda on their website and look at the actual statistics. Have there been any documented cases in my area in the past decade? Of the cases in my area recently how many people were vaccinated? What treatment methods are available to treat this disease? What population is at risk for harm from the disease? Is there any benefit to getting this disease in childhood and then having lifelong immunity? This documentary does focus primarily on autism, and as we know autism is a huge epidemic. But it’s not just autism, the rates of chronic illness in our population in the US is 1 in TWO. This is insanity, and unfortunately – as Del Bigtree mentioned in the Q&A – we’re now graduating doctors and medical professionals who think this is *normal* because it’s all they have known. Normal is healthy, and we need to NOT forget this. The focus is on autism because of how devastating autism is to the individuals affected, their families, and the entire community as so many resources are needed. Time limitations obviously don’t let them look into all the other chronic issues like sensory disorders, sleep disorders, autoimmune disorders, childhood cancer, etc. 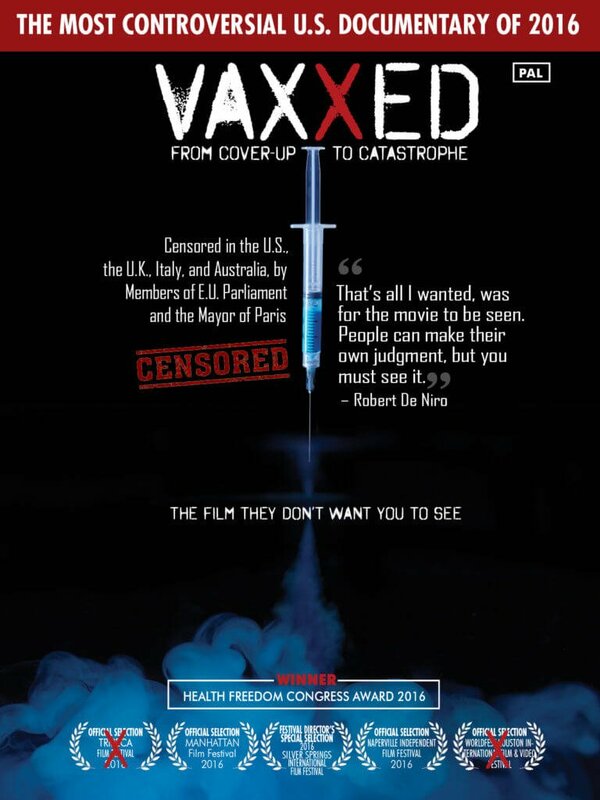 The point of the movie isn’t to stop people from vaccinating, it’s to keep the vaccine companies and the government from withholding known reactions, especially within certain demographics, from the public. We’re not ‘anti vaccine’ and if vaccines are as safe and effective as claimed, why on earth has there been so much coverup and skewing of data? There is no ‘the ends justify the means’ when you are dealing with children. Note from me: You’ll notice I only talk about vaccines about once a year (Pertussis, Mumps, Autism articles), this is because I find this talk emotionally exhausting and it takes a lot out of me. 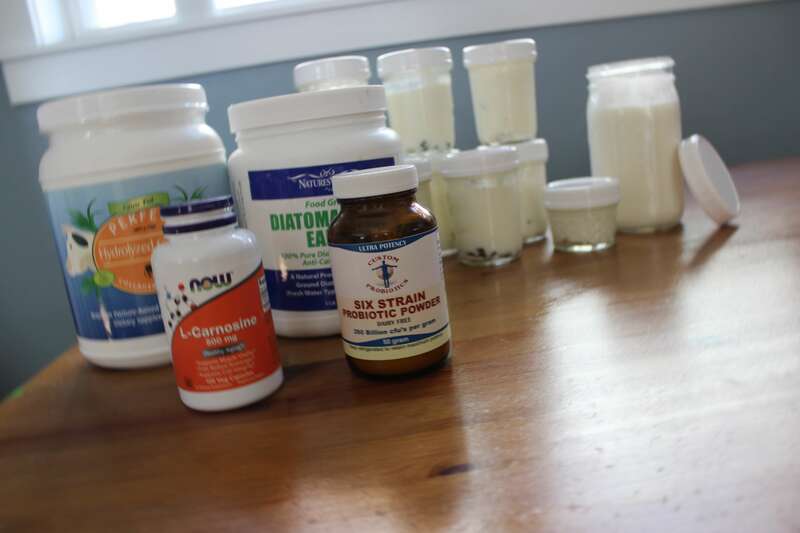 My focus here is helping you get real food on the table, and healthy balance in your families. Vaccines and pharmaceuticals are a huge issue, but I suspect the underlying issue is that we want a shot or pill to fix our health, when we aren’t doing what we need to do to support good health. The vast majority of people will be healthy, with good immune systems, stable mood, and ability to lead happy productive lives if they provide the building blocks needed: Balanced meals that are full of protein, produce, and probiotics; restful sleep consistently every night; movement every day, preferably outdoors in fresh air; and lastly but equally important, loving and accepting relationships with family and friends. You can’t skip vaccines, and also skip eating well and living a life of balance and expect all to be well. It’s not that simple, so I encourage every one of you to make little steps toward health every day. As always a clear and fair article that is genuinely useful as well. I agree. Vaccines are part of the picture, but not the whole picture. Avoiding vaccines is not the magic pill to wellness. I also think that parents and medical consumers in general must be discriminating, do their own research and not rely solely on the opinions of doctors and other professionals. Each of us is our own best advocate. Only I can know what is best and most appropriate for me. Even though many have not taken all the responsibility they should for their own health care decisions, that doesn’t excuse vaccine manufacturers, government agencies or the medical establishment from the abuses of power they have exercised, the corruption in which they have engaged and the deceptions they have perpetrated and continue to create. This is a great review and commentary. Thanks! The problem is that our society depends of herd immunity to help those who cannot be vaccinated because they are too young or immunocompromised. The rate of unvaccinated people (mostly children) has risen, putting them, and us all at risk. I got chicken pox when I was pregnant with my second child. I was lucky that I didn’t miscarry or have a child with severe disabilities. This is a real issue for me, and for all those families with children who are at risk because people won’t vaccinate their children. Remember that the rest of the world is not as free of these diseases as we are. Polio, measles, and whooping cough are real diseases that have killed people. Our pediatrician and many do not offer chicken pox vaccine due to side effects. Sorry my five kids are a risk to you. Thank you that’s life. Cara, I appreciate your measured tone and reminder that parents should educate themselves. But I don’t know how a movie directed by Andrew Wakefield—who lost his medical license because he lied, manipulated data, and published a fraudulent paper about the link between vaccines and autism—furthers our knowledge of the subject. My heart breaks for the families in the film, but I would not trust him. Remember to follow the money, there is TONS of money to be lost if we disrupt the current vaccine schedule. This is personal opinion, but I think they really push all the vaccines before age 2 because parents are really unsure of themselves when dealing with young infants and are more likely to follow authorities blindly. There is a correlation (not causation) between vaccines and autism, and the CDC did cover it up. Specifically, they covered up that if we delay the MMR to after 3 years, we drastically reduce the risk of autism in black male children. We really can’t trust anyone 100% (including me- I’m wrong sometimes too even though I try really hard not to be!) so we need to evaluate everything with an open and discerning mind. Dr Wakefield losing his license was over an issue of ethics and had nothing to with so-called fraudulent data. You can find a copy of the case study online still today and read it for yourself, as well as the court case of Dr. John Walker-Smith, one of the 12 other authors on that paper who won his appeal. I suggest reading through both to understand what really happened. I don’t believe any of the statements you made about Dr. Wakefield are true. The media is quick to accuse, but slow to exonerate, and that has been the case here. His gastrointestinal studies have been replicated many times, the charges of fraud have been dropped and I have seen several recordings of him speak and I have nothing but respect for him. K.S. offers links to some articles about his exoneration. Dr. Wakefield’s paper in the Lancet that caused the firestorm was a case study of a small group of children with similar symptoms. The paper said that multiple mothers reported the regression into autism and the terrible gastric symptoms came after receiving the MMR vaccine. The paper then said that this possibility merits further study. It made no claim of a link. Dr. Wakefield says that he studied up on the MMR (because he wanted to know what he was getting into) and was aghast at the safety record of the vaccine, especially a particular Mumps strain that had been causing meningitis in Canada, was then being used in the UK. When it caused too much meningitis in the UK and was pulled off the market, they didn’t destroy it liked they should have, they sent it 3rd world countries where it caused more meningitis. Dr. Wakefield got asked about the MMR in a press conference after the publishing of his paper and he recommended based on his research that children get individual vaccines instead of the combined MMR. The media took that and ran with it to say he said not to vaccinate. The British government shortly after removed the individual shots from the market (not to save lives, but to save the MMR program) so parents who wanted to vaccinate had to choose between the MMR or nothing. If you want to hear Dr. Wakefield tell the story in his own words, here is a link to an interview with Dr. Mercola (if you don’t want to listen to all of it, download the transcript and skim through). http://articles.mercola.com/sites/articles/archive/2012/01/24/new-evidence-refutes-fraud-findings-in-dr-wakefield-case.aspx This interview was in 2010 I believe, so some of the information will be outdated, but his historical information will be accurate. Its hard to put your trust into something that the government has made it impossible to sue the manufacturers or the ones administering the vaccines. There is simply no accountability. That is never a good idea and hasn’t ever worked out well before. Would you put your trust in buying a new car that you knew there was no accountability to anyone if anything was defective, let alone lack of safety tests? Thank you for this review. 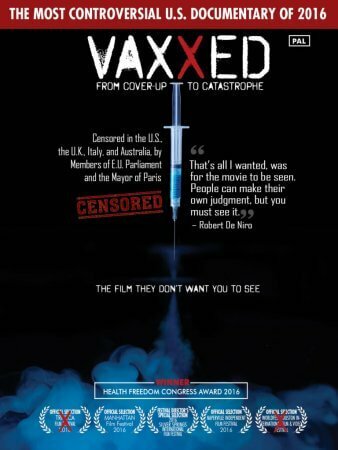 Excellent documentary and the people behind Vaxxed have done such an amazing job! I’m almost 70, with two sons and two grandsons. Probably what bothers me most is the lack of parental choice. You cannot send your children to school unless they are vaccinated, and exemptions for any cause are apparently very difficult to achieve. The number of vaccines young children are being forced to receive today is abhorrent. Most conspicuous is the HepB vaccination of newborn, who if course are ready to mainline drugs and hire prostitutes :/. Most parents want to trust their doctors to know about these things. Sadly, most don’t. Hi MJ, actually religious exemptions are very easy in most states. I simply state my beliefs and have a paper notarized at my bank each year, and then bring it in at the start of school. It’s another myth that it’s hard to get in public school without vaccinating. Even our doctor, who is really very tolerant of my medical decisions, and the school secretary will tell me that I ‘can’t send my kids to school until they have their shots’ but the religious exemption is easy to get so I just ignore what they say and follow the law. We’ve been in about 6 different schools for various reasons, and they all only needed a notarized note. 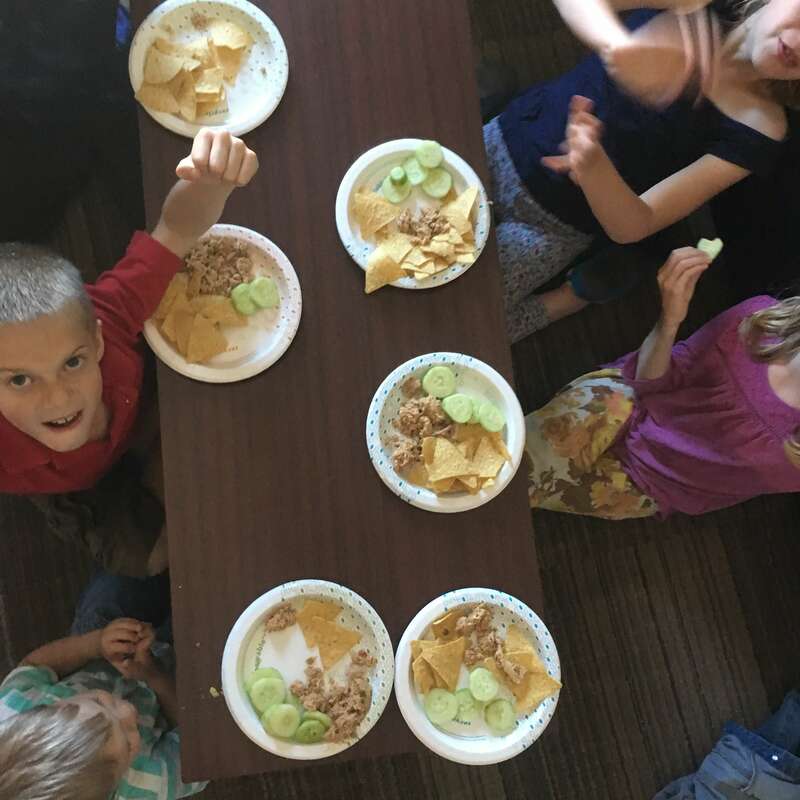 Preschools and daycares here in Montana are more difficult, but the public schools that are taxpayer funded accept exemptions.